SINGAPORE, 28 August 2018 – Singapore Changi Airport registered 5.72 million passenger movements in July 2018, a 5.7% year-on-year increase. Aircraft movements rose 2.5% to 32,710 landings and takeoffs, while airfreight throughput grew 2.1% to reach 183,300 tonnes, compared to the same period last year. Passenger traffic for the month of July was boosted by growth across all regions, with traffic to and from Europe rising 19% compared to the same period last year. With the launch of Scoot’s Berlin service and the resumption of Lufthansa’s Munich service earlier this year, traffic to and from Germany grew 30%. 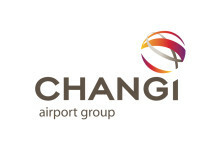 Among Changi’s top 10 destinations, London and Denpasar led the gainers, registering double digit growth. As at 1 August 2018, more than 100 airlines operate at Changi Airport, connecting Singapore to some 400 cities in about 100 countries and territories worldwide. With more than 7,200 weekly scheduled flights, an aircraft takes off or lands at Changi roughly once every 80 seconds. New Services – AirAsia Berhad doubled its weekly services to Kota Kinabalu to 14x weekly on 1 August. Malindo Air also launched a new daily service to the same city on 10 August. New Restaurants & Stores – House of Seafood opened a new outlet in T3’s Basement 2 (public area), selling vacuum-packed ready-to-eat crab in chilli, black pepper and salted egg yolk flavours.